Beta waves are fast brainwaves, cycling between 13 to 30 cycles per second. You may see some sources citing that beta starts at 15 and ends at 40 Hz; that's because there's some contention over where it starts and ends. Our beta binaural beats music is therefore focused on high brainwave activities such as learning, wakefulness and energy. Considering all the brainwave categories, think of the spectrum like this: delta is sleepy, theta is meditative and inspirational, alpha is focused and productive, and beta is super alert, ready for action and, at the top end of the spectrum, very high energy. If you were to take a screenshot of the brain when it is actively engaged in mental activities, you would see an abundance of beta waves. Beta waves are the fastest of the four main brainwaves, but there is also gamma, which is even faster. Beta waves are characteristic of a strongly engaged mind. For example, when we are in deep conversation, like a debate, the brain would be producing beta waves. Similarly, a person making a speech, or an actor playing a part, would be in the beta zone when they are engaged in their actions. Of course, beta is quite a wide spectrum, so there's a huge difference between 13 Hz and 30 Hz. 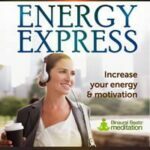 For example, our Energy Express beta binaural beats track sits at 30 Hz for the majority of the recording – stimulating your brain and awakening the neurons for high-level activities. This is ideal for those days when you feel lethargic and drowsy, perhaps after a late night or when you've got a hangover. There is some cross over between the alpha and beta states too. A blend of waves from each of these categories can complement each other. 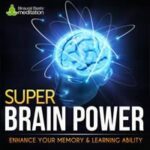 For this reason, our Super Brain Power recording contains both alpha and beta frequencies, at 10 Hz and 18 Hz, respectively. These two frequencies produce significant improvements in memory, particularly in retaining information when reading and studying; making Super Brain Power the perfect tool for those who wish to improve passive recall performance. This type of information retention targets learning in the short and medium term. For improving long-term memory, you should look into our Memory Enhancer recording, which uses gamma frequencies at 40 Hz. Our beta binaural beats are essentially frequencies (sound waves) laid underneath ambient, relaxing music. When listening to the music, your brain begins to follow the beta sound waves at the same frequency and begins to produce beta brainwaves. It's a natural science called ‘frequency following response', which enables us to entrain the brain to particular states that we want it to move into; states such as deep relaxation, productivity, deep focus, sleep, etc. All our beta binaural beats are instantly downloadable. You will receive a 30-minute version and a 1-hour version of each track you download. The music comes in the highest quality .mp3 format and can be shared on any digital device that supports music playback.